See scan - perfect condition. 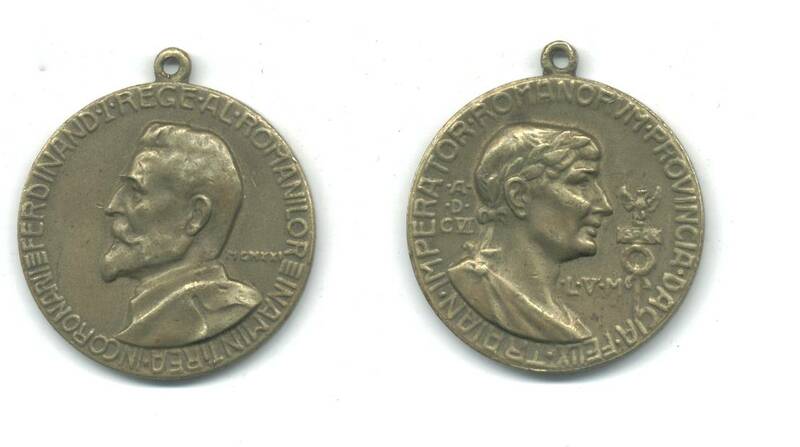 This is a Royal Rumania/ Romanian medal to celebrate the coronation Ceremony of King Ferdinand I. Front is the portrait of Ferdinand and back is the portrait of the Roman Emperor Traian. Extremely nice and scarce piece.